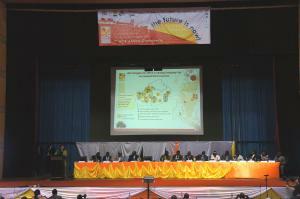 From 17-20 September, cashew stakeholders from around the world gathered in Cotonou, Benin from to attend the 7th ACA Annual Conference. 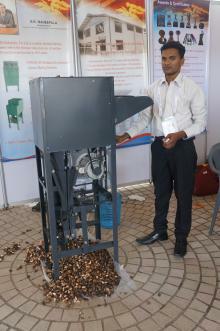 The event was the world’s biggest cashew event to date, with more than 500 registered participants from 36 countries. Keynote speakers, sector-specific workshops, and hundreds of Business2Business meeting provided both first-time attendees and experienced industry players with key information and tools to facilitate the continued development of the African cashew industry. Conference participants had the opportunity to learn from 90 speakers presenting in 26 workshops and panels, on topics ranging from finance and investment to small-scale processing. Ministers and ministerial representatives from ten countries were also in attendance, including Hon. MadinaSephou, Benin’s Minster of Industry, Trade and Small and Medium Enterprises. The high-level panel during the Plenary Session, “Today’s Challenges for Tomorrow’s Industry,” included participants from Benin, Nigeria, Côte d’Ivoire, Kenya, The Gambia, Senegal, Mozambique, Tanzania, Burkina Faso, and Togo. Another feature of the conference, the 2nd World Cashew Expo12, showcased processing equipment from China and Sri Lanka, as well as 20 other exhibitors. About 100 attendees extended their conference participation beyond Cotonou to take advantage of the opportunity to see two main aspects of Benin’s cashew value chain: production and processing of raw cashew nuts. Field trip participants traveled to a 45 hectare cashew plantation in Dassa-Zoumé, where farmers have received training from ACi on grafting and intercropping to increase productivity of the site. The trip also included a visit to SITAB SARL, a newly opened cashew processing factory designed to meet the highest international standards of processing, hygiene, and safety. The huge success of the conference was made possible thanks to more than $210,00 in support from Platinum Sponsors ECOWAS-TEN, Kraft Foods, and African Cashew Initiative, as well as Gold sponsors Olam, Intersnack, ARECA, GIZ, USAID, and Delmas. Missed out on all of these incredible events? Mark your calendar for the 8th World Cashew Conference and Expo, to be held 16-19 September in Lagos, Nigeria!